Collete Warren is one of the greatest voices of Dum & Bass. In recently works with known producers such as Skeptical, FD, Klute and the Brazilian DJ Marky, we can listen to her stunning voice. Next January the 30th she will be in Brazil to run a presentation at the Audio Club on DJ Marky & Friends Party. Before her arrival in Brazil, we conducted a short interview, in which the Brazilian audience will be able to know her influences, her beginning as an artist and her personality. Check out the interview with Collet Warren to the Drumbass.com.br. importance of MC Tali had in this beginning. 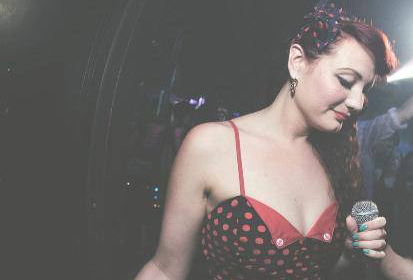 Collette Warren: Ive been singing all my life, all sorts of different styles, and Ive been a massive drum & bass fan for about 18 years, so it was a natural progression to bring two of the biggest things I love together, singing & drum & bass! When I was younger though I didnt believe in myself, and it was actually MC Tali that made me believed in me, so she gave me the confidence I needed to go forward in my music career and believe that I was good enough to do this! It all started when we became good friends and we went to the Miami winter conference, we were all in the hotel and I was walking around singing, she said, “oh my god Collette, your voice is amazing, I had no idea you sang!” She told me I had to do something with my voice and I wanted to but I wasn’t confident at all at that point, she said that we should work together and then a few months later she asked me to be the backing singer in her jazz band ‘Rogue Noveau’. After a couple of years of touring my confidence grew and I was ready to be at the forefront! I knew I wanted to be a drum & bass vocalist ever since I heard the Lady Roller from the EZ Rollers when I was a teenager, but I just needed that first tune! Then one day I was singing at my friends wedding, Keira & Tim, and my friend Freddie (FD) was there and heard me sing, and thats when he asked me to work with him, and I recorded my first D&B track Want You It then appeared on Lenzman & Riyas Metalheadz podcast, and thats when I knew this is what I want to do! Again, it was Tali who taught me how to record my own vocals and I recorded my first few tracks in beg studio, so she really has had a big part to play in my career! She was my mentor, as well as one of my best friends! Drumnbass.com.br: Your musical influence is guided in Jazz / Soul / Funk. Tell us in which artists do you inspire to sing? 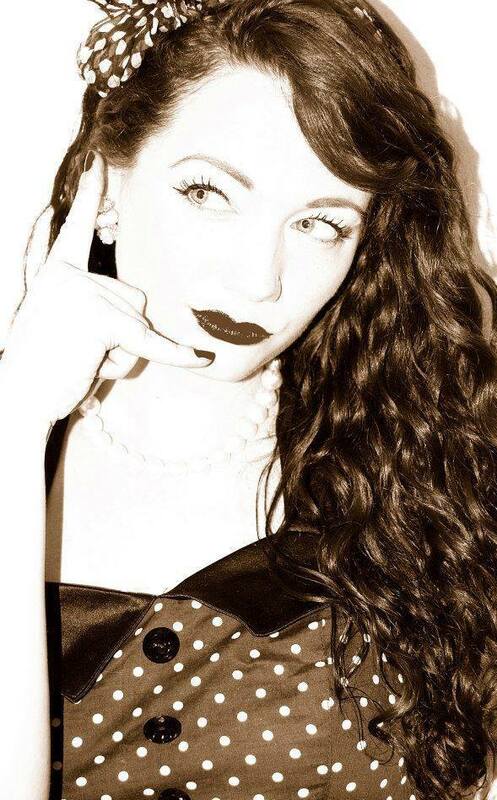 Collette Warren: I’m really inspired by all the old jazz singers, Billie Holiday, Etta James, Ella Fitzgerald etc.. And of recent years a massive inspiration to me is Amy Winehouse, she was just so raw and her voice was amazing, I loved her so much and she really inspires me with my singing and with my song writing! Drumnbass.com.br: In Drum & Bass youve worked with many producers. Which you could work out as the most interesting? Collette Warren: I’ve really loved everyone I have worked with, so it’s so hard to just pick one! It was a dream come true to work with DJ Marky and something I never thought would happen and if anything this is the track that is bringing me out to Brazil to perform! I think I have got the most creative with Skeptical, we have done about 5 tracks together and they are all different and I had so much fun writing to the tracks and we really bounced off each other! ‘Desire’ that I wrote with him is probably my biggest tune and another reason why I am lucky enough to be brought out to Brazil to showcase my songs to you! Drumnbass.com.br: You attended the last album of DJ Marky on the song "Be With U". Tell us how was the creative process of this music. Collette Warren: It was a real honour to be asked to sing one of DJ Marky’s tracks and be part of the ‘My Heroes’ album! We had talked about working together for a while, and then he finally sent me the backing track to ‘Be With You’ I instantly loved it and straight away got a melody going and an idea for the song as I was walking home one night listening to the track on my headphones! I recorded the vocals, sent them to Marky and luckily, he loved what I did! Off the back of this track, I got to sing at his album launch at Fabric, his curated night at Sun & Bass and now Marky & Friends in Brazil! Drumnbass.com.br: What Collette usually do in his daily activities? Collette Warren: My daily activities Monday to Friday usually consist of working haha! I work with children from the ages 1-6 and it’s so rewarding and a lot of fun, but very tiring! On the evenings if I’m not working on music I’m usually relaxing and watching films or TV, this is my escapism from the world! I also dine out with my friends a lot and have yummy meals and lots of wine, hehe! On the weekends I spend time with my boyfriend and my family, either relaxing or doing lots of fun things, travelling and going on adventures! Drumnbass.com.br: Had you ever imagined to come to Brazil, what you know about our country? Collette Warren: Coming to Brazil has always been a dream of mine, so to come to Brazil and sing I just can’t express what this means to me, it really is a dream come true and I’m so grateful and humbled by this! I don’t know too much about Brazil, but I do know it’s colourful, amazing and cool and the food is wonderful! I can’t wait to learn about the culture, meet the fans and experience the Brazilian way! Drumnbass.com.br: Finally, leave a message to your audience in Brazil. 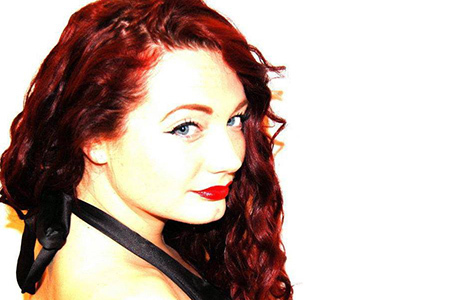 Collette Warren: I’m so excited to come and sing to you all and meet you! I’m overwhelmed by the response from you so far and I really hope you enjoy my set! Love you all!